A volunteer named me "Yummy" when she saw my adorable little round face and body, when I darted over to say hi. She said---"Oh my...that bunnny is just so yummy!!" I am super friendly, very happy and outgoing Actually, I am just a perfect little princess. I was brought into the animal shelter with a severe malloclussion (my teeth do not line up properly) and I was having a hard time eating and taking care of myself. My teeth had curled up and were growing back into my gums, which were bleeding. 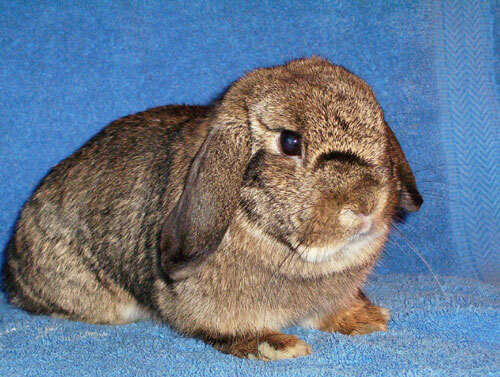 The shelter contacted The SaveABunny foster center and they took me in and had my teeth trimmed. I felt so pretty and special I danced all over my pen and then flopped over in delight! For my longterm health and happiness, I really need to have my front teeth permanently removed, so that I can eat and groom myself. Don't worry! I will still have my back teeth, so I'll be able to eat just fine and will make a great companion. Actually, I will make a FABULOUS companion, because I won't be able to chew up any valuables you might accidently leave in my path! I do need your help in paying for my operation. It will cost several hundred dollars for my dental surgery and to have me spayed. Your donation will help me to have a happy ending to my story and also support the work of the SaveABunny foster center to help other rabbits. The foster center does not receieve any funding and is completely dependant on donations and volunteer help. Will you be my tooth fairy and grant me my wish for help with my teeth?